2013 is a good year as I come near to completing a project that is very dear to my heart. I started composing the pieces for this project during 2012 after I was asked to take part in an exhibition celebrating the work of the poet W.B.Yeats,which would be shown in the Hawkswell theatre in Sligo. For this I collaborated with the sculptor Martha Quinn and we were given the the poem “The lake isle of Inisfree” to work with. Martha had to come up with 3 artworks and I would compose accompanying pieces of music to depict what we got from various aspects of the poem. For one of these pieces I was inspired by the “Bee loud glade” and with the Chapman NS Stick I composed a piece full of flurries and comings and goings of the bees as they went about their daily business. The exhibition was a great success and inspired me to keep writing on this wonderful and unusual instrument and so the current project was born. I mentioned the idea that I had in my head for an unusual tale with characters born in the music to my sister Susan who was very excited by it and immediately started to write and with her very talented artist husband Vitya, we started to create the characters who Vitya brought to life on paper as only he can. Past solo projects include “End of a longer day” which is an album of original compositions except for the beautiful ” Mná na hEireann ” composed by Seán O’Riada. The album features some of Ireland’s most talented musicians and is completely instrumental except for the two poems written by my sister Susan and recited by Noelle Midleton which open and close the work. A second album in this series followed, titled ” A small shadow ” which is another collection of instrumental pieces inspired by the countryside in Co.Sligo and in particular the lovely Inismurray island which is situated about four miles off the sligo coast near Cliffoney. Máirtín O’Connor, Richie Buckley, Niamh Crowley, Bill Shanley, Ted Ponsonby, Séamus McGuire, Liam Bradley, Tom Jamieson, Gerry O’Donnell, Anna Houston, Rowland Blennerhassett, Séamus Brett. 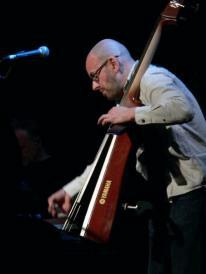 I played Double Bass, Six string contra-bass, Guitar, Recorders, Keyboards programming & sampling. Or from the iTunes Store. And here’s the one that got away…what a shame.